How We got started: The First Annual Business Meeting and Election of Officers of the Georgia Council of Chiropractic was held at 1:00 PM on Saturday, November 13, 1982, at the Ramada Renaissance Hotel in College Park, Georgia. The meeting was called to order by Dr. J.K. Humber, who introduced Dr. Hubert Hitchcock, acting treasurer, and Dr. Mildred L. Kimbrough, acting secretary. There were 93 charter members in attendance. Those elected to the first full term of office were: President, Dr. J.K. Humber; Vice-President, Dr. Robert Argoe; Secretary, Dr. Robert Rabin; Treasurer, Dr. Hubert Hitchcock; Directors, Dr. Rebecca Ray (one-year term), Dr. Allen Arnold (two-year term) and Dr. Robert Ressmeyer (three-year term). Dr. Mildred L. Kimbrough was appointed Parliamentarian/Historian by the president. By the end of 1982, the GCC had successfully completed its first annual convention and had appointed legislative and peer review committees. Three bills had been drafted to be present to the 1983 legislative bodies. Virgil Smith, a past member of the Georgia House of Representatives, had been named as the GCC legislative advisor, a position he has continuously held until the present. The council had grown to a membership of well over 100. The second annual fall convention and license renewal seminar featured Robert Mendelsohn, M.D., author, lecturer, and critic of the modern-day practice of medicine. Also speaking at the convention was Judge Effie A. Mahan, administrative law judge for the Georgia State Board of Worker’s Compensation. Judge Mahan spoke on workman’s compensation as it applies to chiropractic practices in Georgia. The GCC Newsletter was begun in 1984. This publication has become the regular bimonthly organ of the GCC and is edited by the Executive Director, Dr. Mildred L. Kimbrough. Dr. Kimbrough was first appointed to the position of executive director in 1987 by then president Dr. Robert Ressmeyer. In 1988, after the GCC designated the week of September 18 - 24 as Chiropractic Week in Georgia, Georgia’s Gov., Joe Frank Harris also proclaimed this time frame to be Chiropractic Week in honor of the 93rd anniversary of the chiropractic profession. On October 20, 1990, the GCC kicked off its first free Philosophy Night series. The guest speaker was Dr. James Gregg. Other nationally known Philosophy Night speakers have included Dr. Ian Grassam, Dr. John Hofmann, Dr. James Sigafoose and Drs. Jennifer and Palmer Peet. The popular philosophy series continued during the 1992-93 year. The sessions, designed to bring back the “passion” D.C.s have for their profession, has been a high point for chiropractors in the state of Georgia. All chiropractors are invited to attend, whether or not they are GCC members. Georgia Sen. Wyche Fowler was the guest speaker at the 1990 fall convention at the Evergreen Conference Center in Stone Mountain, Georgia. The GCC magazine originated in the spring of 1991. This quarterly publication, edited by Dr. Brad Pizza, is mailed to all chiropractors and legislators in the state of Georgia. Through the magazine’s in-depth articles, legislators and others outside the council have gained an understanding of the council’s position on important issues. Georgia Insurance Commissioner Tim Ryles was the guest speaker at the 1991 fall convention at the Stouffer Waverly Hotel in Atlanta, Georgia. The GCC also celebrated its 10th anniversary at this convention. Dr. J.K. Humber was honored with the first GCC Chiropractor of the Year Award. During the 1991-92 membership year, the GCC had grown to more than 300 members. On July 30 & 31, 1992, the GCC hosted a continental breakfast for the candidates for licensure during the exams held at the Ramada Inn and Conference Center in Atlanta. During the 1992 September business meeting, the bylaws were amended to allow chiropractic students to join for onetime fee, making membership affordable for many more students than in the past. Dr. Gerald Clum, one of the guest speakers at the fall convention, spoke on the ramifications of the Mercy Conference Document. In 1993 Dr. Louis Briegel received the Chiropractor of the Year Award, and Ms. Sheryl Chesler was honored with the first Chiropractic Technician of the Year Award. The second spring convention was held at Jekyll Island the weekend of March 25, 1993, and the 12th annual convention and business meeting was hosted at the Waverly Hotel in Marietta, Georgia. Sen. Steve Thompson and state Rep, Michelle Henson were the guest speakers at the luncheon. The membership for the 1992-93 year was 409. In the summer of 1994, the GCC introduced the United-We-Educate Program to its members. This radio-spot program has enabled members to provide chiropractic care to new patients and has helped them realize the benefits of chiropractic. The GCC has been instrumental in providing well-known speakers and exciting programs such as philosophy nights, mini-weekend seminars and license renewal seminars to its membership. Dr. L. Paul Markey and Ms. Kiki Herfert were the guest speakers at the 13th annual fall convention, which was held at the Stouffer Waverly Hotel in Atlanta, Georgia. Georgia Insurance Commissioner Tim Ryles was the guest speaker at the President’s Luncheon. Dr. Bill Willis was honored with the 1994 Chiropractor of the Year Award, and Ms. Wendy Whitehead received the 1994 Chiropractic Technician of the Year Award. Ms. Sharman Star-man was announced as the first recipient of the Dr. Richard W. Kimbrough Memorial Scholarship Award. Dr. James K. Humber Sr., a pioneer Atlanta chiropractor and an Army veteran of World War II, died in December 23, 1994. A native of Atlanta, he obtained his doctor of Chiropractic Degree from the Palmer School of Chiropractic and his Ph.C. from Texas Chiropractic College. Dr. Humber, who served chiropractic in Atlanta area for more than 40 years, was the charter president of the GCC from 1982-83. He served on the GCC board of directors and was voted Chiropractor of the Year in 1991. He also represented the International Chiropractic Association and was an associated professor at Life College. The Fourth Annual Spring Convention was held March 23 - 26, 1995, in Destin, Florida, and the 14th Annual Fall Convention took place August 18 - 20, 1995, at the Stouffer Waverly Hotel in Atlanta, Georgia. The guest speakers were Drs. Fred Barge, Gerald Clum and James Sigafoose, and Sen. Chuck Clay spoke at the President’s Luncheon. Dr. Brad Pizza was named 1995 Chiropractor of the Year, and Ms. Becky Miles received the 1995 Chiropractic Technician of the Year Award. Ms. Christine Thompson won the Dr. Richard W. Kimbrough Memorial Scholarship Award, and Dr. Sid E. Williams was named Chiropractor of the Century. GCC members celebrated the Chiropractic Centennial by attending extravaganzas in Washington, D.C., in July and in Davenport, Iowa, in September. The Washington Gala included a chiropractic museum, a preview of the first chiropractic documentary and entertainment by actor Alan Thicke and The Pointer Sisters. More than 5,000 chiropractors supporters attended the Davenport gala, which featured exceptional speakers, a chiropractic museum, another viewing of the documentary, entertainment by singer Ray Charles and actor Alan Thicke, dancing and fireworks. There have been regular monthly meetings of the GCC Board of Directors and an annual business meeting in the fall of each year since the founding of the GCC. As the eyes of the world were upon us for the 1996 Centennial Olympics, the GCC was busy working on sports, seminars and passing legislation for the travel to treat bill to enable chiropractors from all over to be able to care for our world class athletes. Our spring convention was held at the San Destin Hilton in Florida. We had a record attendance. Our 1996, 15th annual convention had to be the highlight of the year, which was held at the Cobb Galeria. Dr. Sid E. Williams was voted Chiropractor of the Year. The Gala extravaganza was highlighted with now Senator Max Cleland, as our keynote speaker. Our new president, Dr. Steven Nudelman was given charge of the organization, by exiting president, Dr. Bradford Pizza. Dr. Robert Porter presented the C.A. of the Year Award to Ms. Kay Siler. 1996 also marked the year the GCC entered high technology on the internet with our own web home page. The sixth annual spring convention was again held in Destin, Florida. At this meeting the GCC formed the Subluxation Based State Chiropractic Organization. We held our second meeting at D.E. in which fourteen state organizations joined. The purpose of this organization was two fold. First to have a unified voice in COCSA, and the second purpose was to help other states from state organizations that were subluxzation based. The sixteen annual fall convention and board meeting was held September 26 - 28 at the Evergreen convention and resort hotel in Stone Mountain, Georgia. Our featured speakers were, Drs. Clay Reynolds, Betty Gelardi and Gleen Stillwagon. The guest speakers for our luncheon was Insurance Commissioner John Oxendine and candidate for governor, Roy Barnes. The Chiropractor of the Year was awarded to Dr. D.D. Humber, senior vice president of Life University. C/A, C/T of the year was awarded to Mr. Aaron Wenning from Dr. Pizza’s office. Reelected to a second term of office was Dr. Steven Nudelman, and newly elected to the office of vice-president was Dr. Robert Porter. 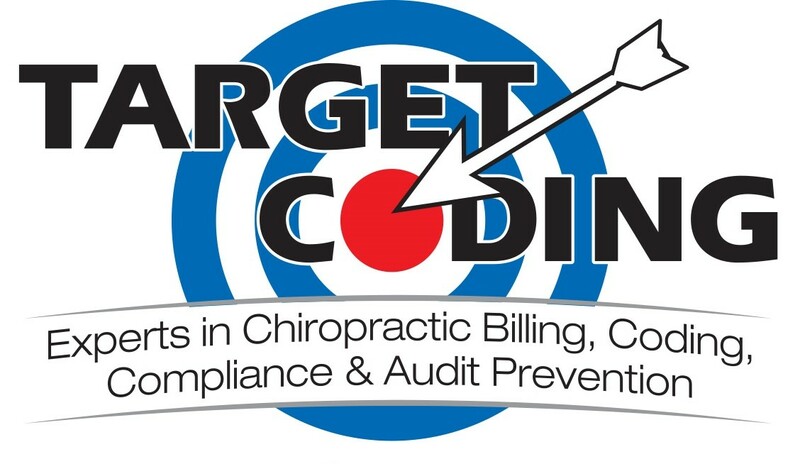 Landmark legislation occurred by the GCC to protect the new chiropractic coding system from being utilized by any other health field. Governor Zell Miller signed H.B. 1641 on March 19, 1998, which brings the chiropractic profession under the Provisions of Code Section 51-1-29.1 relating to liability of voluntary health care providers and sponsoring organizations. This amendment gives the chiropractic profession the same level of consideration as other health care providers licensed under chapter 9, 11, 26, 30, or 34 of title 43. Dr. Sid Williams sponsored a BBQ party at his home on August 1, 1998. The guest speaker was Senator Roy Barnes who was running for governor. The GCC sponsored the "New Era in Whiplash & Spinal Trauma Seminar Series" taught by Drs. Dan Murphy and Richard Christie. The Eighth Annual Spring Convention was held March 11 - 14, 1999 in Sand Destin, FL. Dr. Ian Grassam passed away November 25, 1999. He was a tireless promoter of chiropractic and a frequent speaker for the GCC. The GCC held it`s second annual "Chiropractic Day at the Capitol" with twelve GCC members in attendance on February 8, 2000. The 5th Annual 5 Star Spring Convention took place on March 24-26, 2000 at the Marriott Baypoint Resort in Panama City, Florida. Guest speakers included Drs. Rossi, Dr. Marini, Dr. Pizza, and Dr. Duboff. The GCC participated in the care of athletes at various events with the 2000 Georgia Games. The "Distinguished Doctors Brunch" honoring all senior DC`s in the state of Georgia, was hosted by the GCC in conjunction with Life University on May 17, 2000. A fundraising event to benefit the Chiropractors in Politics Fund (CIP) took form as the "GCC First Annual Golf Tournament" at the Canterbury Golf Club in Marietta, Georgia on August 8, 2000. The event was a great success raising funds for CIP and the membership. Lake Lanier Islands Resort played host to the GCC 19th Annual Fall Convention on September 22-24, 2000. Guest speakers featured were Dr. Joseph Flesia, Dr. Gerard Clum, Dr. Brad Pizza, and Ms. Susan Hoy. The Richard W. Kimbrough Scholarship was awarded to three students: Sylvia Mojic, Lydia Dever and Brandy Dodd. Dr. Cheryl Langley was elected President of the GCC and was awarded the title of Chiropractor of the Year. The title of Chiropractic Assistant of the Year was awarded to Ms. Ismay Campbell. Shortly after the fall convention the GCC office moved into a new office, at one of Life University`s off campus locations on Franklin Road in Marietta, GA.
Dr. Ron Kirk, member of the GCC and teacher at Life University, was voted GCC Faculty Member of the Year for 2000. Dr. Robert Porter passed away in December of 2000. He served as President of the GCC for two terms and had a private practice in Marietta, Georgia. His wife, Dr. Debbie Porter, continues the practice with the loving dedication they had both shared, in helping the community through chiropractic. One of the first GCC events for 2001 took place from 8:00AM to 2:00PM on February 13. This was a special Chiropractic Day at the Capitol under the supervision of Dr. Tom Paulos, director of the Life University Luckie Street Clinic. The second Distinguished Doctors Brunch took place on March 2, at Life University’s Treehouse and was sponsored jointly by the GCC and Life University. Winners of the Richard W. Kimbrough Scholarships in 2001 were Leesa Lake ($1,000), Matthew Sleppy ($500), and Kristen Welsh ($250). Lake Lanier Islands’ Emerald Pointe Resort and Conference Center was this year’s setting for the annual Fall Convention from September 21-23. Speakers were Dr. Pat Gentempo, Dr. Joel Miller, Dr. Brad Pizza, and Ms. Susan Hoy. Winner of the Chiropractor of the Year Award was Dr. Claire Welsh, and the CA/CT Award went to Sheila Johnson from Dr. Briegel’s office. Also honored this year was Dr. Jerry Hoover of McDonough, who was recognized for forty years of dedicated service to the chiropractic profession. The 2001 Fall Convention was a benchmark event in the life of the Georgia Council of Chiropractic. The Board of Directors decided it was time to employ a full time Executive Director. James S. Moreland, who was a guest at the convention, was hired. Mr. Moreland brings 10 years of experience as an association executive to our organization and holds a Bachelors degree as well as a Juris Doctorate. Mr. Moreland has served in the administration of two Alabama Governors and on numerous boards and foundations. The GCC continues to have a voice in politics and health care throughout Georgia –a voice which is heard and heeded. 2002 saw an unprecedented upheaval in Chiropractic in Georgia. Life University suffered a tremendous blow when the CCE stripped the school of its accreditation. As the year went along, Life seemed to dominate local headlines and national chiropractic publications. The Georgia Council of Chiropractic offered support to the student body through the awarding of 18 $1000.00 scholarships to encourage students to stay with Life. The Board of Directors elected to contribute $10,000.00 to DECE, a group formed to look into the activities of the CCE and to lend support to the school in its legal battles. The GCC was on hand as Life celebrated its Homecoming, helping provide a sense of continuity and support through its presence. As these events took place, the GCC remained focused on providing quality programming to its members and to the profession as a whole. The annual meeting of the membership and fall convention took place in Pine Mountain, Georgia’s Callaway Gardens. This September event was tremendously successful with the largest vendor presence in recent memory. More than 140 D.C.’s attended the continuing education seminars. 30 Chiropractic Assistants received certificates for CA training. Dr. Gerard Clum was the keynote speaker and provided information on new HIPPA guidelines that began to affect the profession later in the year. Joining Dr. Clum as speakers were Dr. John Downes, Dr. Brad Pizza, Dr. Matt McCoy, Dr. Karen Ferguson and Lisa Black-Engle. Dr. Scott Warner was honored as Chiropractor of the Year at this event. A successful Monte Carlo Night and silent auction capped off the convention. Late in the year, Dr. Brad Pizza and Dr. Robert Schlampp presented the GCC’s CE Express 2002. This event exceeded everyone’s expectations. Attendance was an all time high for a non-convention event. More than 80 D.C.’s attended this continuing education seminar. The 10-month CA certification course had an enrollment of more than 30 CA’s from across the state. In April the GCC hosted an X-Ray certification course in Savannah, Georgia. The CIP (Chiropractors in Politics) committee defeated a bill designed to expand the scope of the profession. Months of negotiation and meetings paid off. Later in the year CIP held a successful golf outing designed to raise funds for the fall elections at Canterbury Golf Course in Marietta. CIP also promoted Chiropractic Day at the Capitol, an event that proclaimed February as Chiropractic Month in Georgia. Governor Roy Barnes met with the members of the GCC that were assembled. Several weeks later, the Governor appointed GCC longtime member Dr. Alan Arnold to the state board of chiropractic examiners. GCC members were invited to witness the swearing in at the Governor’s office. As the elections of 2002 took place, the GCC CIP/PAC was on hand to witness the swearing in of Georgia’s new Governor, Sonny Perdue. The GCC CIP/PAC contributed to the inaugural events. The GCC office was moved from the Franklin Road location to a new home on Barclay Circle in Marietta. The GCC expanded its office space and gained better visibility. The Chiropractic Connection was also revamped from a newspaper tabloid format to a slick, magazine format. This publication is received quarterly by the membership. The GCC held its annual "Chiropractic Day at the Capitol" on Tuesday, March 25, 2003. A Proclamation recognizing Chiropractic Day was signed by Gov. Purdue and the Chiropractic message was well received. The CIP/PAC Golf Tournament was held at Creekside Golf Course on April 24, 2003. It proved to be another successful fundraising golf tournament for the GCC CIP PAC raising $6,960.00!! The 22nd Annual Fall Convention was held September 19th-21st at the Hyatt Regency in Savannah, Georgia. Featured speakers were Drs. W. B. Bean, James Chestnut, Richard Plummer and Brad Pizza. This year's recipient of the 2003 Chiropractor of the Year Award was Dr. Ralph Duncan, and the CA of the Year award was given to Ms. Kristi Robinson of Buchanon Family Chiropractic. Existing President Dr. Scott Warner gave charge of the organization to the newly elected president Dr. Greg Baker. Newly elected to the office of vice president was Dr. Brad Pizza. In 2004, the GCC spent its first year in its new office in the Triangle Building off of Windy Hill Rd. In the Spring, thanks to Dr. Tripp Arnold, we held another successful Seadoo Raffle, generating nearly $10,000.00. Also in the Spring , we offered our first continuing education seminar in Cancun. Dr. Claire Welsh organized this event. She also worked hard during the year to revitalize the GCC Philosohy Nights. The GCC and the GCA began a year of cooperation and compromise in an effort to update the scope of practice. 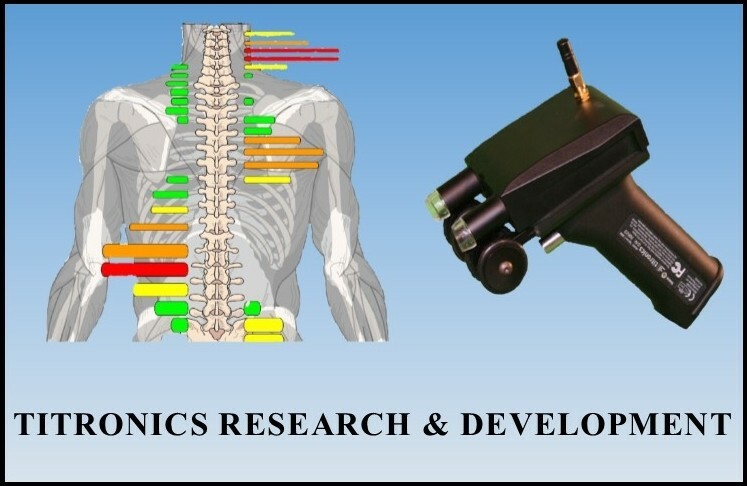 After many revisions, a document was created that, if passed, would give doctors of chiropractic increased access to diagnostic tools such as MRI, and non-medical clinical procedures, such as traction, massage, and orthotics. It would also protect and codify subluxation centered chiropractic; something we felt was long over due. Our Fall convention was held at the new Georgia Tech Conference Center. In addition to a number of great speakers, we invited members of the GCA as special guests, assisting us in presenting the work that we had done on a bill to update our scope of practice. Dr. Joe Gregory was honored for his hard work on behalf of the profession and the GCC by being voted Chiropractor of the Year. While serving as President of the GCC, Dr Baker led the GCC’s efforts to work with the GCA in updating the scope of practice and fought to have the term "subluxation" included in the bill which passed the Senate on March 27, 2007, the House on April 20, 2007 and was signed by the Governor on May 24, 2007. Dr Baker worked with the GCA on a set of tenets modeled after the ACC Paradigm document that would define chiropractic in Georgia and be supported by both state organizations and Life University. Upon completion, the GCC unanimously voted to endorse The Foundational Tenets of Chiropractic and they were signed at a ceremony commemorating the event at Life University on April 3, 2008. A wonderful convention was held at the Georgia Tech Convention Center in 2005. Dr. Greg Baker was awarded the title of Chiropractor of the Year and Trish Daly was named Chiropractic Assistant of the Year. Dr. Brad Pizza began the 2005-2006 year asPresident of the GCC for the second time, having served in 1994-1996. Dr. Claire Welsh was elected as the GCC President and together continued to develop "Unity of Purpose" within the profession in Georgia. In the spring of 2006,members met with the Governor and rededicated themselves to the passing of the Scope bill. On June 6, 2006 Dr. Pizza represented Georgia doctors at the public hearing held by the Department of Education in Washington D.C. as the CCE sought continued recognition after having its own 2002 decision against Life reversed in a Federal District Court. 2006's Fall Convention was hosted at the Loudermilk Conference Center for the first time. Dr. Steve Welsh was awarded the title of Chiropractor of the Year and Francine Somers was named the Chiropractic Assistant of the Year. In 2007, a second sea-doo raffle was organized by Dr. Tripp Arnold. The GCC Wall of Honors was created at the GCC office to honor our past presidents and, Dr. Sid Williams. Dr. Williams was given the coveted Life Membership status. In 2007 "Unity of Purpose" between the GCA, GCC, Life University and the Board of examiners culminated with the passage of the scope bill on March 27, 2007. It truly was a historical achievement for Chiropractors in the state of Georgia. The GCC had a 25th Anniversary Gala Extravaganza at the 2007 Annual Fall Convention. All of the Past Presidents were honored at a special reception. Dr. Karen Mathiak was awarded the Chiropractor of the Year and Regina Gubta was named Chiropractic Assistant of the Year. Drs. Claire and Steve Welsh were elected President and Vice-President. During 2008 the GCC worked tirelessly to increase our visibility and presence. "Unity of Purpose" moved to the national level as the ACA and the ICA agreed to work together with the ACC and COCSA in an unprecedented effort to develop one "Unified Voice" on the key issues of Medicare reform and national health care reform. Recognizing the potential for Federal decisions to impact chiropractors on the local level, Dr. Claire Welsh served as a delegate to the World Federation of Chiropractic, the Congress of Chiropractic State Organizations and the state representative to the International Chiropractors Association. Dr. Steve Welsh also served as an ICA delegate to the Chiropractic Summit. In 2008 Dr. James Eaton was elected the Chiropractor of the Year and the Chiropractic Assistant of the Year was awarded to Sherry Brotherton. The GCC launched the Congressional District Program utilizing the ICA "Adjust the Vote" patient advocacy system in order to provide patients with the opportunity to express their concerns during the upcoming health care reform debates. The GCC worked to strengthen relationships with Life University, hosting monthly Thursday Night Live meetings for 2 years. The GCC also worked to expand the opportunities to gather socially with the largest Holiday gathering ever 2 years ago and last year’s coming close, a Brave’s baseball event with over 100 docs, families, patients, and staff attending, annual Hockey outings, the annual Golf Tournament and the Clay & Feather’s Shoot. 2009 is a year in which Health Care Reform has become the focus of attention nationwide. As GCC members gathered for their 28th year, 5 different bills were circulating through various committees in Congress. Focus has shifted from health care reform to health insurance reform and the ultimate impact on the chiropractic profession has yet to be determined.